This is a [assenger side Camaro hood hinge. This is a true General Motors hinge assembly. From a Southern Camaro for use on 1993 - 1997 Camaro models. No rust, no rot, install and go! 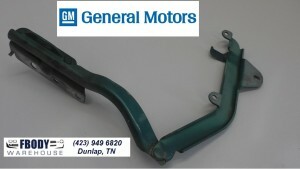 This hood hinge assembly is true GM and ready to install on your car.